Seventeen year old Kara Bailey receives a blood transfusion as part of a lifesaving operation. When she wakes, she finds that she has unusually advanced senses. Returning to school after her accident, Kara unknowingly befriends Hannah Quinn, thus committing herself to social exclusion through association. In an effort to damage control the situation, she agrees to date Ben Shephard, her secret crush. But the arrival of a dark stranger, Jack, distracts her, as simultaneously, her powers heighten. Jack declares ominously that Kara has something that belongs to him. She tries her best to avoid the stranger but confrontations arise and soon Kara realises that they are inextricably linked through the blood that they share. There is no escape from the future that lies ahead. 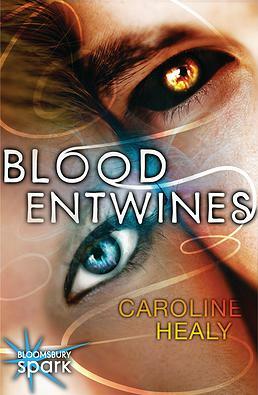 Categories: Paranormal, Romance | Tags: Caroline Healy | Permalink.